In February, 2018, the Tycho Brahe Planetarium opened its doors to a new exciting exhibition: Made in Space – Your Cosmic History. Made in Space is about awe, inspiration and wonder. It is the story of you, and your cosmic history. It’s about the building blocks of life and their origins in some of the grandest and most extraordinary places in the Universe. Made in Space is a thrilling collaboration that asks some of the biggest of all questions: where did life come from? Where did the universe come from? The answers to these questions are jaw-dropping in their scale and scope. 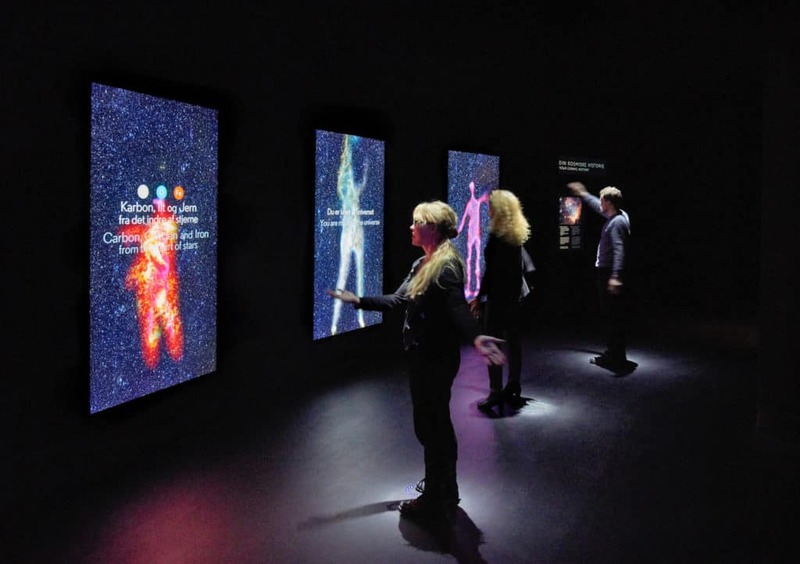 In trying to answer some of these vast, fundamental questions, 59 Productions has designed a unique exhibition space using an exciting array of cutting-edge interactive and immersive technologies. 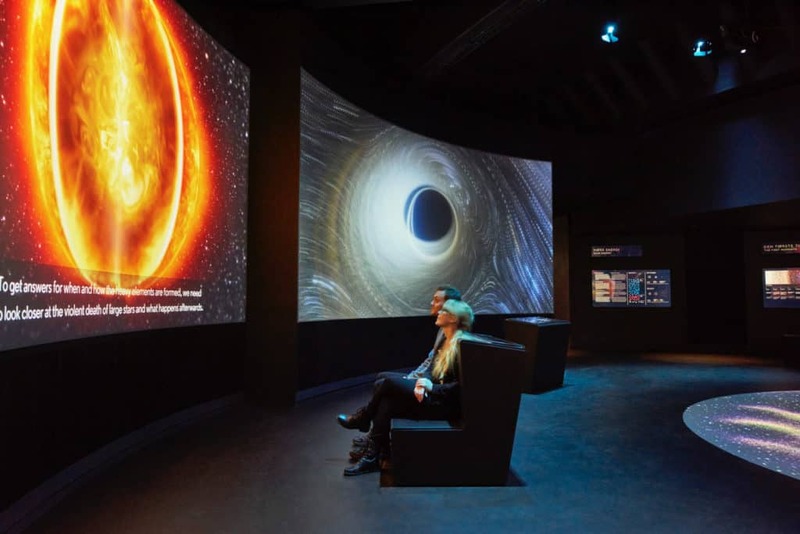 The exhibition will ignite wonder and inspire people to learn more about the cosmos. 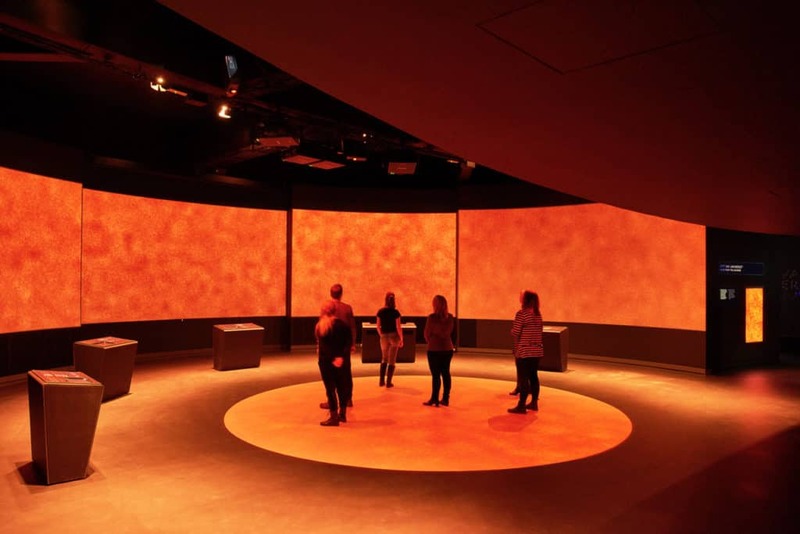 Using large scale projections and digital interactive exhibits it tells an epic story on a grand scale.